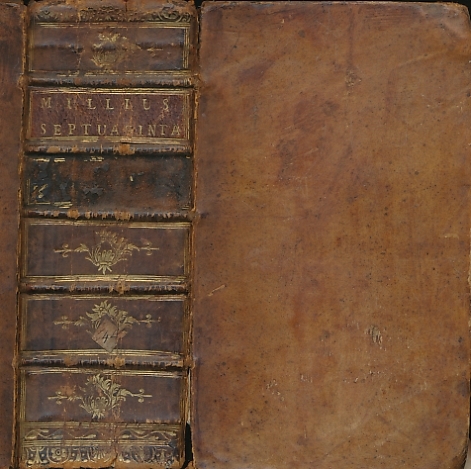 Barter Books : Greek Bible : Millius Septuaginta: He Palaia Diatheke Kata Tous (h)ebdomekonta. 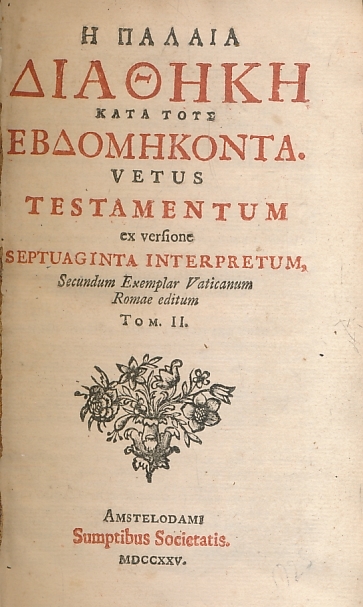 Vetus Testamentum Ex Versione Septuaginta Interpretum Secundum Exemplar Vaticanum Romae Editum. Tom 1 & 2. Two volume set. Old Testament. 170 x 100 mm (7 x 4 inches) - 903pp; 928pp. G : in Good condition without dust jacket. Covers rubbed. 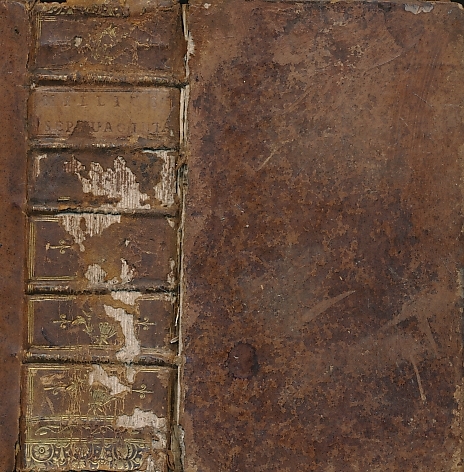 Loss to spine leather of volume 2. Occasional slight foxing. Written in Greek. Bookplate of Montagu Burgoyne. Title page with small woodcut engraving. 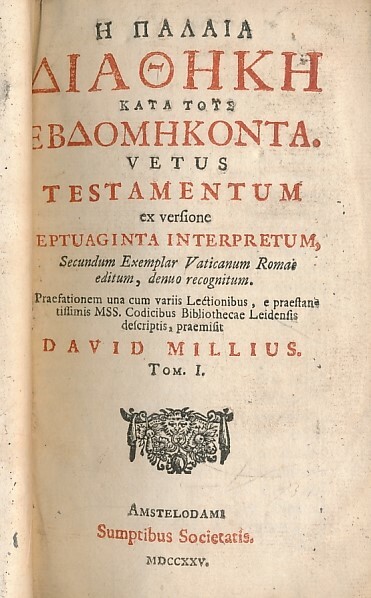 The second recognised edition from the Vatican in Rome.